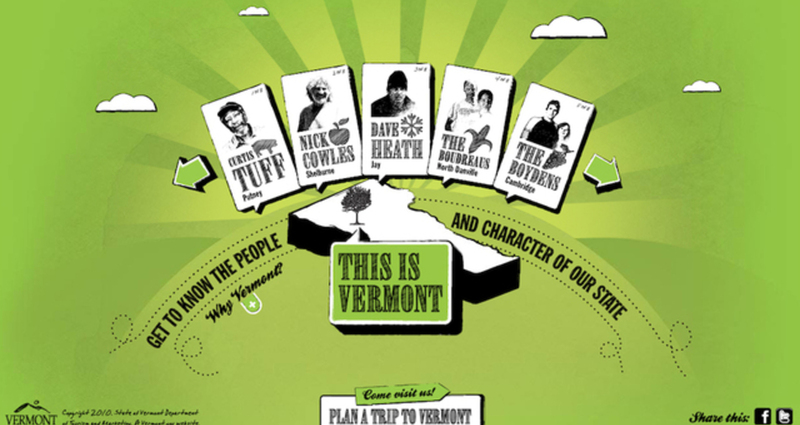 This microsite highlights the unique places and personalities found in Vermont, and gives a preview of the quirky-yet-relaxing experiences you'll find there. Vermont has many of the same atributes as its New England neighbors - forests, mountains, open spaces, quiet places, etc. What sets Vermont apart is its unique, friendly, and even wacky people. The goal of the site was to highlight some of these people with custom video content for users to share, and provide links to locations and activities, as well as an interactive travel planner. We had to showcase multiple videos across the state in all seasons, then create a site to play them while seamlessly offering links to more information on an existing site.